We all have those weekends we wish we were off on an island in the sun, enjoying the ocean, sand and tropical fruity goodness that comes with it all. When I can't get away, I try to simulate as best as I can in the comfort of my own home. 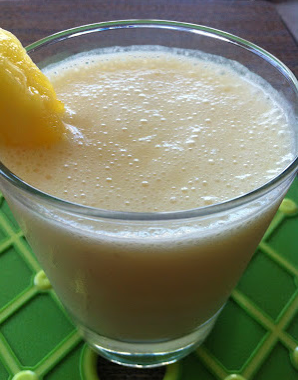 Here is a tropical island smoothie for your pleasure. Blend all ingredients. Now whether you're in New Jersey or New Zealand, step outside, turn on some island music, put on some shades, sit back, take a sip and close your eyes. Are we in Maui yet?